Watching a lot of Korean dramas introduces us into a lot of love teams and on-screen couples. Seeing the sweet chemistry of the leading man and leading lady in a series will make us wish that they were really couples in real life. Among the many popular K-dramas, here are the best couples and love teams we've seen so far. The one that made our hearts pound, lips smile, eyes twinkle, and emotions touch. The cute pairing of our favorite actress, Park Shin Hye, with the handsome singer-turned-actor Jung Yong Hwa (from the K-pop boy group CNBLUE) originally started in 'You're Beautiful', when Yong Hwa played the guy who has hidden feelings for Shin Hye. But the love blossomed even more when they starred in 'Heartstrings' in 2011. The two look so lovely together, and it is revealed that they are very good friends in real life. During the press conference for 'Heartstrings', Yong Hwa shared what he thinks about Shin Hye, “I feel so comfortable around Park Shin-hye, she’s like a member of (his group) CNBLUE. She is very laid-back and bright — she’s one of the few celebrity friends I have.” Park said at the same press conference, “Jung Yong-hwa and I know so much about each other, I think it would be difficult for us to start a romantic relationship.” Although they are not real-life couples, they are real-life friends. Who knows when their friendship can go something into a different level as time goes by? Another cute couple on-screen is the lead actors of the drama, Coffee Prince. With Yoon Eun Hye's cheerful personality and Gong Yoo's smart charisma, they both look good together like a well-blended coffee that tastes so good. No wonder, Coffee Prince was a big hit in Southeast Asia in 2007, with many fans thinking that their beloved Han Kyul will be Eun Chan's prince, not only inside the world of drama, but might as well in reality. Who wouldn't know these popular love teams from the 2004 drama Full House? Everyone will be reminded of the 'Song Hye Kyo - Rain' pairing as the cute 'Mama bear and Papa bear' couple, thanks to Hye Kyo's character who created a sweet song about one happy small family of bears living together. Just like what the song suggests, the two played the role of being a family under one roof, however there are many troubles and difficulties. Being one of the earliest love teams who touches the hearts of many K-drama lovers, these two never failed to make the viewers laugh, cry, and feel the love. Many fans will be forever thankful to them while remembering their sweet and funny scenes, while listening to the famous OST, 'I Think I Love You'. Their fair love and war in this romantic comedy brought them the Best Couple Award at the 2004 KBS Drama Awards. Another phenomenal K-drama is the Boys Over Flowers, featuring our beautiful MinSun couple. Lee Min Ho, who played the very charismatic role of Gu Jun Pyo, eventually become attracted to Geum Jan-di. The onscreen couple gained popularity because of their perfect portrayal of two young individuals with loving hearts despite the troubles. Recently, the lead actress, Ku Hye Sun, was married to Ahn Jae Hyun, who is known as her handsome partner in the vampire drama series 'Blood'. During her interview last year, Hye Sun remembered Min Ho in their early days in Boys Over Flowers as she mentioned, "The vibe he [Ahn Jae Hyun] gave off is similar to that of Lee Min Ho when I first met him. It was a very refreshing feel." Thanks to this, though our pretty Hye Sun has already tied the knot with her man, the 'Boys Over Flowers' fanatics will forever be reminded of the love and joy that MinSun couple once gave onscreen. Another hit drama that touches the hearts of many K-drama lovers is the Secret Garden, featuring the very handsome Hyun Bin and the queen of Korean dramas, Ha Ji Won. This drama has become hit because of its pure, heartwarming, and gentle story. And, who can forget the very passionate kiss they shared on the screen, which makes us think twice if they're dating in real life? While filming the drama, it is reported that the two became very close friends. Hyun Bin hang outs with Ha Ji Won in his personal time. Ji Won even mentioned in 2014 that Hyun Bin is the closest among her actor friends. It is also noticeable that every time she is being asked about him, she would shyly smile. When Hyun Bin was discharged from his military service in 2013, he confessed that he sent a message to Ji Won. He said, "I texted Ha Ji Won after I was discharged from the army." After this confession, their dating rumors have accelerated, and many Secret Garden lovers are wishing that they will end up being together. The 'GooWon' couple may not be the highlight of the 2016 hit drama, Descendants of the Sun, but they gained the approval of many viewers with their complicated-yet-cute relationship. Playing the role of First Lieutenant Yoon Myung Joo, Kim Ji Won looked pretty tough and brave. But no one else knows that she's got a soft heart, besides her one and only man, Seo Dae Young (played by Jin Goo). Their love shows a more mature romance compared to the 'love-at-first-sight romance' of the Song-Song couple, and the hardships they have to go through just to prove their love is not a simple battle. Many fans would agree that their relationship is a lot more complicated than Yoo Si Jin and Kang Mo Yeon's situation. Because of this, many fans believed that they are the best second-lead romantic couples in K-drama history. Jin Goo married his non-celebrity girlfriend, Kim Ji Hye on 2014. They welcomed a baby boy in June 2015, and recently, announced that they are expecting their second baby. Although 'Running Man' is not a Korean drama but a variety show since 2010, the Monday Couple is popular to many viewers because of their funny, comical, and sweet combination. They are the best couple on-screen that will give you the best laugh ever. Originally, HaHa coined the term Monday Couple because the two lovebirds are inseparable every Monday (the day of filming), and it is proven to be working because no matter how handsome the male guests are, Song Ji Hyo will always choose Gary if it's Monday. The couple faced many obstacles, such as the alleged love triangle involving HaHa, and Song Joong Ki (in the first episodes) making Gary jealous. However, on October 31, 2016, Gary filmed his last episode on the show because he wanted to focus on his music career. Upon hearing the news, many fans are devastated that the Monday Couple won't last forever. Gary, who is actually a member of the hip hop duo, Leessang, is popular for being the rapper of the song "The Girl Who Can't Break Up, The Boy Who Can't Leave" which is the theme song of Monday Couple in Running Man. Song Ji Hyo is an actress known for her roles in Jumong, A Frozen Flower, and Emergency Couple. One of the most popular K-drama couple is the 'Lee Min Ho - Park Shin Hye' pairing which was formed from the drama, The Heirs. Playing the rich, smart, and charismatic role of Kim Tan, Min Ho has perfectly acted in the drama, as well as the innocent-looking Shin Hye, who played as Cha Eun Sang. Their story follows the common rich and poor teenagers who fell in love despite the social differences. But that chemistry was so good that "The Heirs" fans could not abandon the hope that the two would date in real life. Fans were maybe hoping that Kim Tan and Cha Eun Sang would continue their romance into real life, but it's nice that they're good friends and respect each others' acting skills. in an interview, Min Ho said what he thinks about Shin Hye, He said, "I think she's a terrific colleague and [I] consider her a younger sister." On the other hand, Shin Hye described Min Ho as a man with great personality. She said, "Whenever we work together, we joke around and that makes it comfortable and easy for shooting to continue." 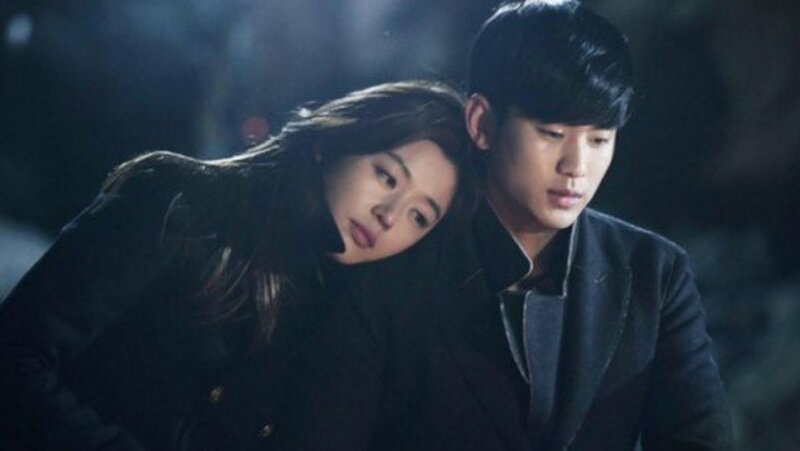 Kim Soo Hyun and Jun Ji Hyun's role as the lead couple in the 2013 wildly popular series, My Love From The Star brought them into a phenomenal situation wherein they are now considered as one of the best couples in K-drama history. Do Min Joon and Cheon Song Yi’s amazing chemistry and the actor's persuasive acting have led viewers to laugh and cry for each episode. Who would forget the '15 seconds to fall in love challenge' that eventually lead into a sweet kiss during the episode 8? Or Do Min Joon's sad farewell to his girl in the planet Earth? Sure enough, they are both comical, serious, and romantic, which makes the viewers go crazy as they feel the surging love from the small screen. Right now, there are many fans who are wishing that the series get a second season. After many months of rumors and speculation, director Jang Tae Young finally admitted that the preparations for a second season are already being prepared. However, director Jang pointed out that the possibility of Kim and Jun, taking the lead role again remains hazy. He said, "Jun Ji Hyun has her new baby, and Kim Soo Hyun is due to enlist soon. So, unfortunately, it is impossible for them to reprise their roles for the second season." The most popular and the hottest couple as of the moment is the Song-Song couple, after Song Joong Ki and Song Hye Kyo's role as the lead couple in the 2016 hit drama, Descendants of the Sun became internationally recognized. Who would have thought that a sweet-looking guy like Yoo Si Jin is actually a tough soldier, and not just an ordinary soldier but a Captain of the Special Forces? Song Joong Ki's acting was so convincing that even a non-K-drama lover will definitely go gaga over him. And who would believe that inside a scary emergency room hides the most beautiful doctor? That's Kang Mo Yeon's pretty power, that even hiding in the mask and wearing the doctor's gown, Yoo Si Jin still sees her as the sexiest in the hospital. Thanks to their perfect portrayals, they are now one of the best couples ever existed in K-drama history. Because of their perfect chemistry, fans are speculating that they are not just dating on the small screen, but also dating in real life. Chasing like a wildfire in the forest are the rumors that the two are actually dating each other, after hitting the showbiz headlines for quite some time. But their agencies denied the rumors and confirming that the two remained good friends. Aside from that, some Song Joong Ki fans doesn't like to define his pairing with Song Hye Kyo as 'Song-Song Couple', because they believed that the original Song-Song Couple is his pairing with Song Ji Hyo in Running Man. Because of this, they are also being called as the cute 'Ki-Kyo' Couple. 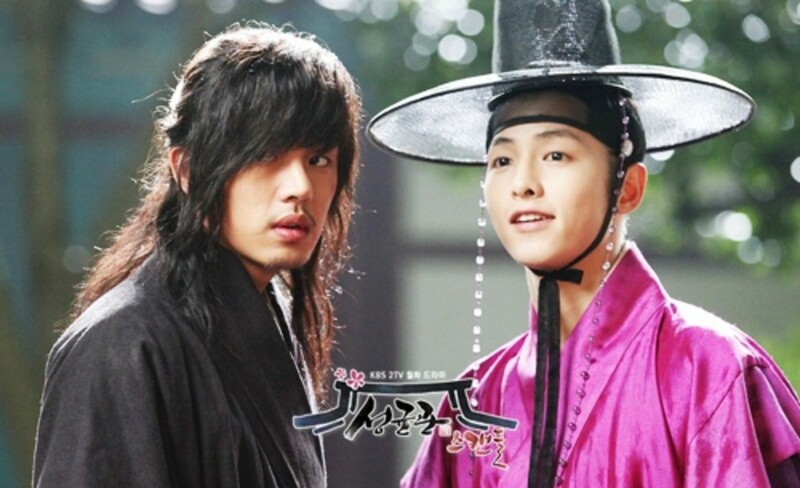 Anyone who have already watched the K-drama 'Sungkyunkwan Scandal' will definitely recognize the relationship that exists between Song Joong Ki and Yoo Ah In's character. Although they are part of the 'Jalgeum Quartet' or F4 of Joseon, Gu Yong Ha (whose nickname is Yeorim) seemed to have a hidden relationship with the rebellious Moon Jae Shin (nicknamed Geol Oh). Because of their mysterious and questionable history, fans have speculated that the two shares a hidden romantic relationship. 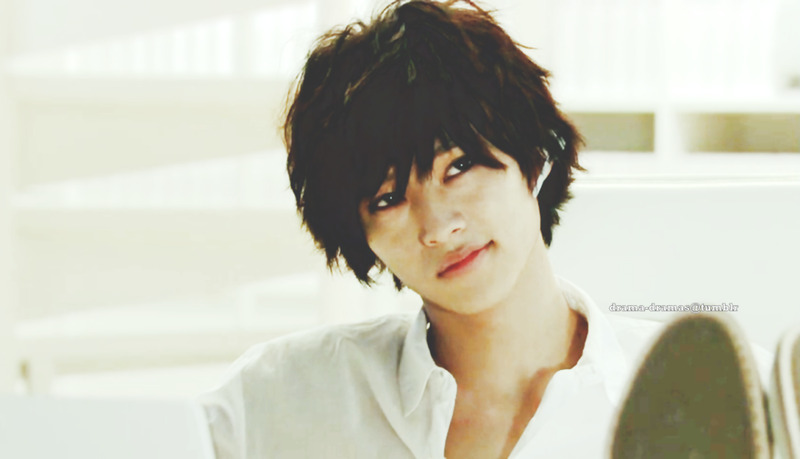 Fans can't get over from the playful yet mysterious personality of Yeorim, and the tough-looking handsome guy Geol Oh. Although their characters were depicted as ‘just friends’, the relationship garnered enough interest and votes to eventually win the Best Couple Award at the 2010 KBS Drama Awards. We have reached the end of the countdown. Write your ideas in the comments below, or vote for your favorite couple in the poll. Who is your favorite K-drama couple? Are Song Joong Ki and Song Hye Kyo married in real life? Yes, the Song-Song couple is happily married in real life. They tied the knot on October 31, 2017. How about BooYoo couple from love in the moonlight? I hope ''MinShin'' couple has a part 2 in ''The Heir'' and if they have, want that they're still the character. What about the couple from Strong women Do Bong Soon! They were so cute! !❤️❤️ I was so sad when it ended.. 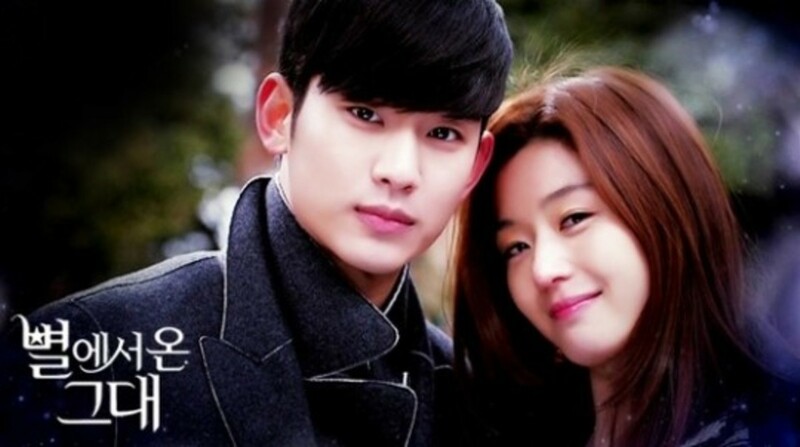 I like Jun Ji Hyun & Kim Soo Hyun, they are perect match.